Developing a fitness or health habit can take considerable effort, with estimates ranging from 21 to 66 days of daily repetition. Considering the improvement to the well-being and productivity of a healthy workplace, and the amount of time we spend at our workplaces, it makes sense to foster workplace wellness programs. 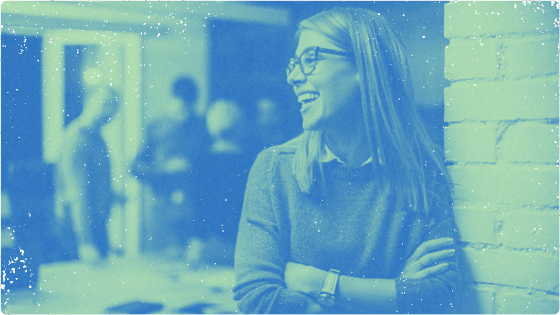 Not only does it affect the output of team members, but it makes them feel good in all areas of life—including work. 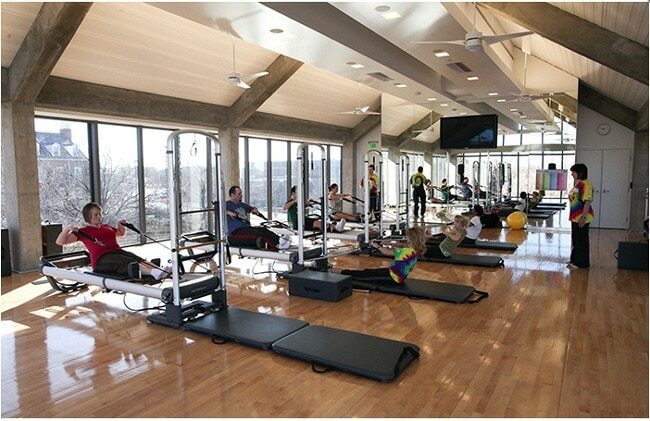 As the world of work progresses, one of the signs of a top-notch employer will be a workplace wellness program. Big or small, all businesses can benefit from some form of a wellness initiative at work. This might be considered the granddaddy of all workplace wellness programs. Not everyone can provide their team members with a 72,000 square foot fitness centre, but Chesapeake Energy considers it a completely justified expense for recruiting and retaining healthy team members. The fitness centre offers team members an Olympic-sized swimming pool, a rock climbing wall, and access to personal trainers. What makes this program great? The fitness centre is just one part of the company’s ‘Living Well’ program, which offers cash incentives for team members who participate and meet their goals in various areas of the program. Chesapeake Energy clearly cares about their team members’ well-being and has provided them with as much support as possible to help them reach their goals. It’s no secret that, on average, team members who smoke cigarettes cost their employers more money due to health issues compared to non-smokers. Some workplaces have found it in their best interest, both ethically and economically, to offer smoking cessation programs to their team members. Union Pacific offers a smoking cessation program that consists of lifestyle coaching, as well as pharmacological assistance, to their team members. Their program has helped reduced the number of their team members who smoke from 40% in the 1990s to 17% in 2007. Union Pacific understands that pharmaceuticals alone may not work for all team members. The addition of coaching for team members trying to quit smoking may be the difference between success and failure. Encouraging alternative methods of transportation, such as bike sharing or public transit incentives, are beneficial to the workplace and the future of the environment. Facebook‘s campus in Palo Alto offers a bike-sharing program for team members to cycle to places around campus rather than driving. At Rise, we encourage our team members to take public transit by reimbursing employees for their transit passes. This type of program will appeal to current and potential employees who value environmental responsibility. Google offers paramedical services, like massage therapy, to their team members while they’re at work. In fact, Google employs a massage program manager, as just one of 35 massage therapists employed in their United States offices. Massage therapists go through an interview process at the company as well, where they demonstrate their skills (which sounds great for the interviewer). There’s a reason why Google is consistently rated one of the best workplaces in the world. Going above and beyond what team members expect from their employer is a great way to encourage a reciprocal effort. A relaxed and calm team member is a joy to have in the workplace, which is likely the main reason that Google offers the service. 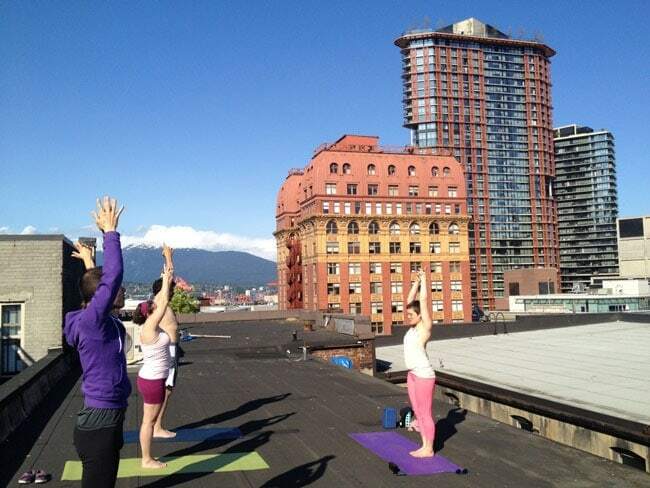 Mobify offers their team members yoga classes twice per week, which, weather permitting, is moved to their rooftop boasting stunning views of Vancouver’s ocean and mountains. The most important requirement for practising yoga is the space to do it, and many companies are using their conference or break rooms to provide yoga classes for team members throughout the workday. Yoga and meditation is an extremely effective stress reliever. Team members at startups or PR agencies often have to deal with tight deadlines and overtime. Yoga is an effective way to incorporate self-care into work, so that team members don’t have to feel guilty about neglecting work. With only 30 minutes for lunch, many team members may feel that they have to eat fast food when buying their lunch. Bandwidth offers a 90-minute Fitness Lunch to their team members—enough time to play a sport, hit the gym, or to head home for a healthy homemade lunch. Again, Google sets the bar high with their cafeterias, offering catered lunches and snacks to team members throughout the day. Services have popped up recently that will deliver healthy snacks to your office, like Natural Source and Mindful Snacks. A lunch and snack program will appeal to all of your team members—since everyone has to eat! Promoting healthy eating in the workplace benefits everyone in the office. Google encourages interaction between people from different teams and their cafeterias provide one such place where a large and diverse workforce can mingle and make new friends. Wellness not only means taking care of the body but the mind as well. Accenture provides confidential support for issues like stress, substance abuse, depression, and anxiety. Accenture knows a lot of work related stress can be addressed outside of the workplace through guided support programs. So they provide financial assistance and access to programs for all of their employees. Employees are also rewarded for setting wellness goals and accomplishing them. Employees who need extra assistance outside the workplace get the help they need to perform their best. Companies like Accenture realize that support for their employees shouldn’t end once they leave the building. By providing extra support vehicles it communicates a certain level of empathy and support for employees. Boosting satisfaction and confidence between the employee and employer. How does an after-lunch siesta sound? Professional or not, there’s no argument that a good nap always leaves one feeling completely refreshed. That’s why innovative companies like Zappos, Facebook, and Asana provide specialized nap rooms for employees looking to catch some after lunch rest. Due to the flexible work schedules employees can catch a quick nap and return to their projects with renewed energy. While simply having a dedicated nap room isn’t technically a “program”, naps have clinically proven benefits when it comes to productivity. We’ve all felt that afternoon lull after lunch. But we’re not telling you to let Steve from the accounting department snooze under his desk. We’re telling you to let employees recharge in ways that suit them best. Maybe it’s allowing employees extra time to go outside for a walk or having a quiet area for staff members to read. The idea is to not be so rigid in the ways employees spend their off time. Everyone gets energized in different ways and finding out what those are can improve mental wellness and productivity. It’s no secret Zappos has an outstanding employee culture. Like many companies Zappos offers fitness subsidies, health benefits, and wellness reimbursements. According to their wellness coordinators, physical activity is important but shouldn’t be mandatory. As a part of their wellness efforts the Zappos team schedules optional wellness adventures for their employees with the goal of getting away from their desks for a little while. This could be a one hour golf lesson, laser tag, or even trampoline lessons. The wellness adventures are kept broad so as to appeal to a wide range of people and most importantly are focused on having fun. Hosting wellness adventures is great fun for everyone. Remember, not everyone is able to participate in all physically active events. Scheduling a wide range of monthly events can let those who get their exercise in elsewhere or who aren’t very active at all to join in. It appeals to more people cause it focuses on fun first rather than exercise. Improving your health and wellness is undoubtedly more fun in a group than done solo. Draper is constantly recognized for having one of the healthiest workforces amongst US companies. They’ve built an entire wellness park including a one-fifth mile track, workout stations, table tennis and volleyball courts. The company has also held a 10-week weight loss challenge where teams compete to win weekly gift cards and, at the end of the competition, a cash prize. Draper also holds an annual health fair, hosts Weight Watchers classes, walking competitions and Zumba sessions so each employee can find what suits them best. Challenges are more fun when friends participate too, a little old fashioned competition. The fact that this challenge is office wide and helps people lose weight makes this program something any company can do. 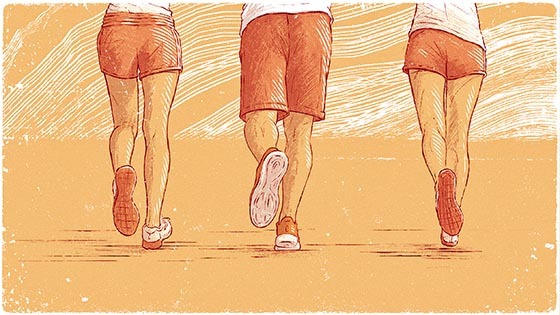 Of course the challenge should be optional but an office-wide weight loss challenge with friends makes a task like losing weight a little less grueling. Looking for a better way to improve health & wellness across your organization? The Rise HR platform helps Canadian businesses manage their teams better, track time off, keep an eye on employee engagement, and much more. Book a demo to see Rise in action. Looking to create or improve employee wellness in your office? Get inspired by what these companies are doing to foster wellness in the workplace.